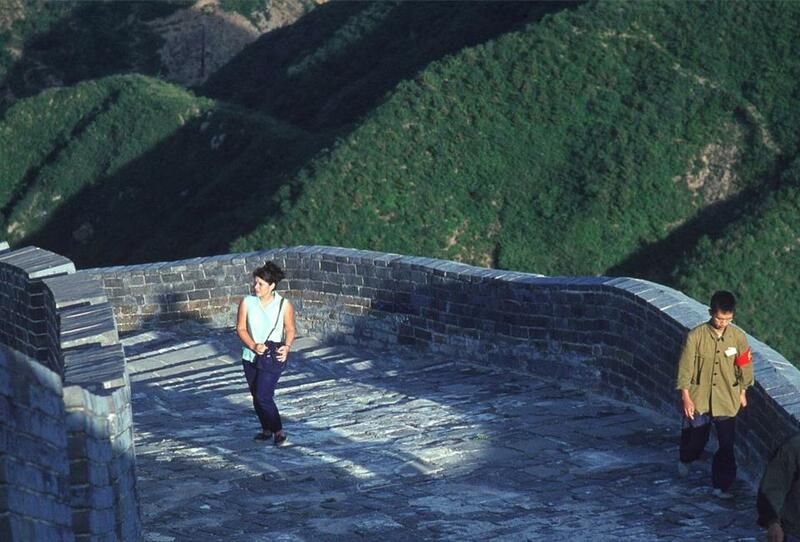 Photographer Solange Brand at the Great Wall of China. Solange Brand was only 19 when she arrived at the French Embassy in Beijing to work as a secretary. It was November 1965. Stopping in Hong Kong on the way, she had bought a Pentax camera and color slides. 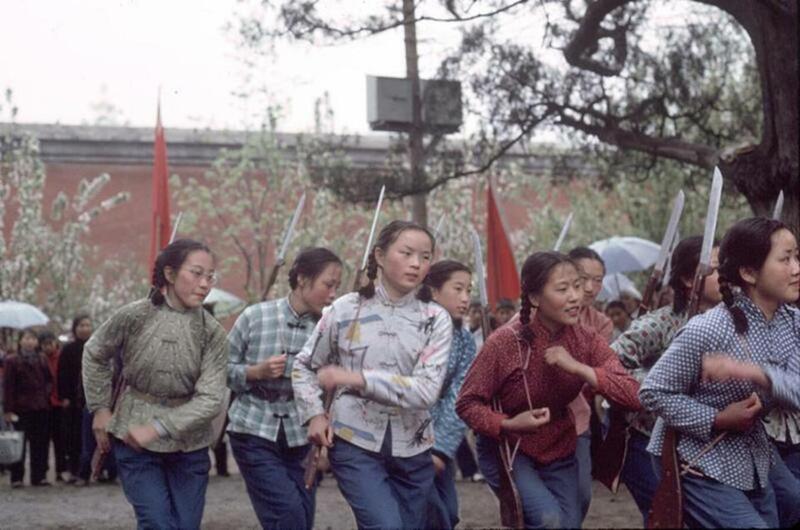 Rumblings of the rising Cultural Revolution began the following spring, and Brand recorded what she saw: young members of the Red Guard; masses demonstrating in the streets; propaganda on towering posters and in street theater. The pictures she snapped are on view in “Solange Brand: China’s Cultural Revolution, 1966” at Robert Klein Gallery at Ars Libri. Later this year, Ars Libri will publish a portfolio of original prints of selected photographs. The French Embassy had just opened; the United States had not yet reestablished diplomatic ties with China. In May 1966, Mao Zedong identified the bourgeoisie as a threat in the Communist government and elsewhere. 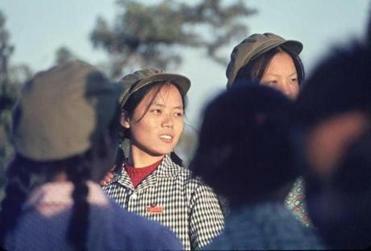 Chinese youth rose up in response, and a revolution began. 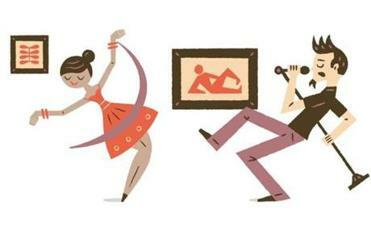 Want the Globe’s top picks for what to see and do each weekend e-mailed directly to you? Sign up now for The Weekender. What started as a response fueled by youthful passion devolved into violence and oppression. 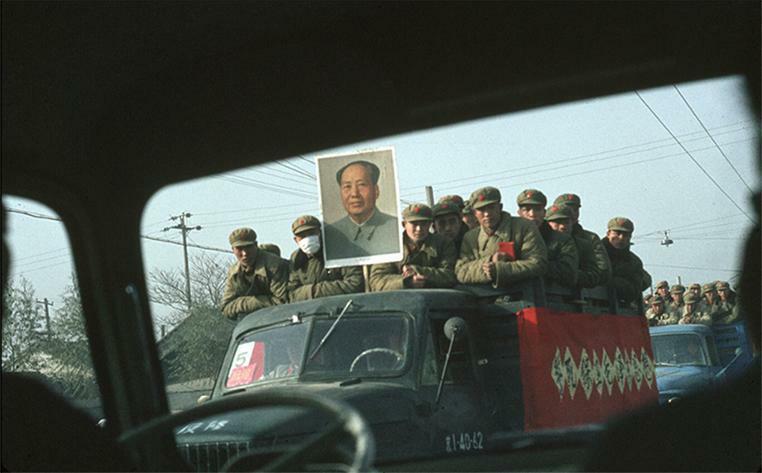 A decade later, by the time Mao died and the Cultural Revolution was subsiding, millions of people had died, and millions more had been imprisoned, tortured, and driven from their homes. Revolutionary chants and dances on May 1, 1966. Although Brand went on to work with photos as an art director at Le Monde diplomatique newspaper, she was not a professional photographer. Yet her pictures stand out. They’re color images, quite rare in China at that time. She took casual shots; people were happy to pose, but she also photographed demonstrators protesting at the door of the French Embassy, waving copies of Mao’s Little Red Book. As a Westerner, Brand did not censor herself as Chinese photographers had learned to do in the preceding years. “From the 1950s onwards, cameras in China became increasingly available to consumers with means, but photojournalists and amateur photographers were disciplined not to photograph ‘dark’ or ‘backward’ sides of Chinese society, sometimes even staging photos to make their subjects look good,” said Jie Li, assistant professor of East Asian languages and civilizations at Harvard, in an e-mail from Shanghai. It was a strangely innocent time. 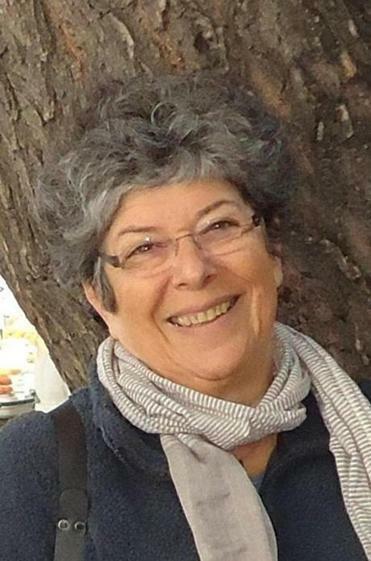 The staff at the French Embassy, she added, was largely in the dark, since much of their news came from propaganda-filled Chinese newspapers. Military trucks on their way to a demonstration. Her photos capture the enthusiasm of the young Chinese, as they played in Workers Park during Labor Day festivities on May 1, as they waved their Little Red Books in the air at a massive rally on National Day, October 1, as they posed for pictures taken by their friends. In 1967, Chinese students were expelled from France for demonstrating at the Soviet Embassy in Paris against Soviet revisionism. In Beijing, the French Embassy prepared for a protest. Brand’s photos of it show a mix of moods: In one, a man stands outside the gate, raising a fist. In another, young children, benign and curious, peer into the gate as adults raise Little Red Books behind them. Brand went home in December 1968 and filed away hundreds of slides. It wasn’t until 2000, when she pulled them out to show a Chinese friend, that she realized she had a treasure trove. “His reaction was so strong, I thought I must do something,” she said. She scanned the slides and made prints, and showed a selection of them in China in 2005. She also went back last year, when her book, “Pékin 1966” was published there. 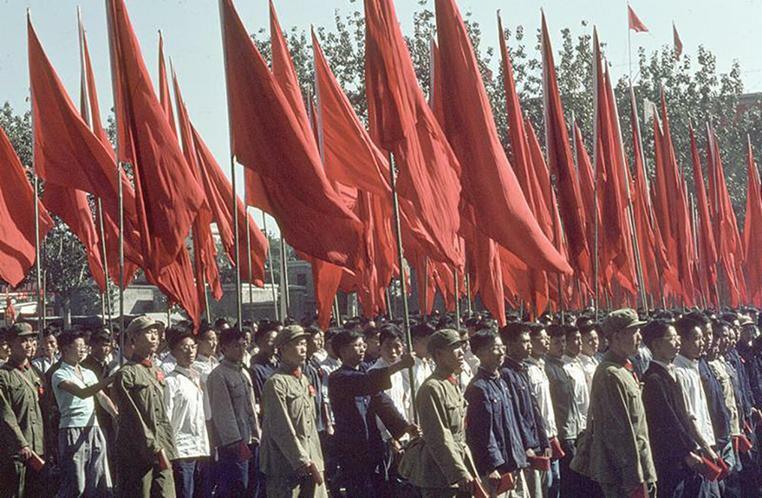 Demonstration for the National Holiday on Chang'an avenue on Oct. 1, 1966.